Volkswagen remained Germany’s top-selling carmaker during the first nine months of 2015 while the VW Golf was again the favorite car of the Germans. Smart was the most-improved brand in a growing market where most manufacturers increased sales. New passenger vehicle registrations in Germany increased by 5.5% during the first three quarters of 2015. The German car market expanded by 5.5% with 2,407,938 new passenger vehicle (PKW) registrations during the first nine months of 2015. Thus far in 2015, May was the only month where car sales were weaker in 2015 than in the preceding two years. However, the outlook for the rest of the year, and especially for October, is less rosy after the Volkswagen emission scandal broke at the end of September. This created uncertainty in the market where nearly 50% of cars are diesel engined. Many buyers may prefer to postpone diesel car purchases until the consequences become clearer (and probably in the hope that discounts and other incentives may be in the offering soon). There were hardly any changes in the rank order of the top twenty best-selling car brands in Germany during the first nine months of 2015 compared to the same three quarters of 2014. None of the top-ten marques had weaker sales although only Volkswagen and Hyundai outperformed the broader market. Volkswagen easily maintained its position as Germany’s strongest carmaker. VW’s market share of 21.4% was virtually unchanged from a year earlier, although the final quarter of the year may well be more difficult for Volkswagen due to uncertainty following the exhaust emission scandal that broke at the end of September. Mercedes was again Germany’s second best-selling car brand although the gap to Volkswagen grew to over 300,000 cars. Audi, BMW, Opel, Ford, and Skoda all underperformed the broader market but maintained their relative rank positions with VW-owned Skoda thus again Germany’s favorite imported car brand. Hyundai was the most-improved top-ten brand and with sales increasing by 8.3% the South Korean marque overtook Renault as the eighth most-popular car brand in Germany. Strong sales by Nissan and a weak performance by Toyota saw the two Japanese carmakers swap positions. Toyota was one of only seven brands – including two withdrawing from the market – to have sold fewer cars in Germany thus far in 2015 compared to 2014. Citroen and Dacia also had weaker sales but maintained their ranks positions. Peugeot just managed to hold onto fifteenth place. New models helped Mini and Smart. Mini sales increased by a fifth. Smart was the most improved of all brands in Germany and a new entry on the top-twenty list, at the expense of Volvo. The VW Golf easily maintained its position as Germany’s favorite car model and even increased the number of cars sold by 12.5%. The VW Passat similarly maintained its second place with sales up by a third. The Passat easily remained the most popular car with business users – for families and private buyers the prices asked new seem too expensive. The Mercedes C Class by contrast had a relatively high percentage of private buyers. Sales were up by a third and the model improved from eighth place a year ago. The VW Polo maintained its fourth place, as well as being the car with the highest percentage of private buyers amongst the twenty best-selling cars in Germany. The Audi A3 slipped from third to fifth with sales down 11% – the worst performer in the top-ten list. 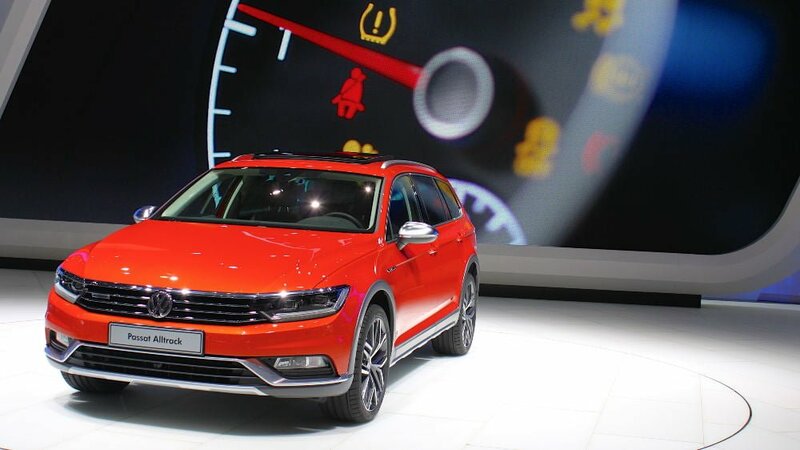 The VW Tiguan slipped one place also with weaker sales. The Skoda Octavia, Germany’s favorite imported car model, climbed two places. The Audi A4 and Opel Astra both re-entered the top-ten list five places higher than a year ago. The Opel Corsa slipped three placed to tenth. New entrants on the top-twenty list were the Skoda Fabia, the new BMW 2 Series and the Mini. The BMW 3 Series slipped from sixth to seventeenth largely due to the decision to split off the 4 Series as a separate model range – probably not a bad decision for a car claimed to be exclusive and premium. The 4 and 3 series together would have been the fifth best-selling car model. The VW Touran slipped from twelfth to twenty-second place in anticipation of the well-published model change at the end of the year.